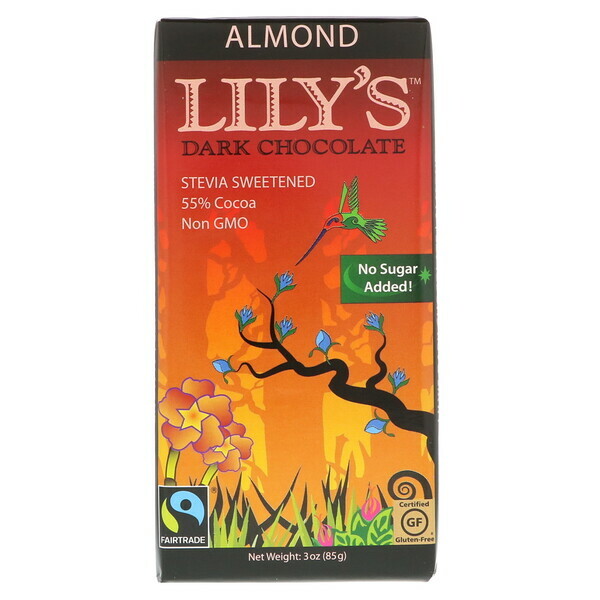 *Than other 55% cocoa dark chocolate. 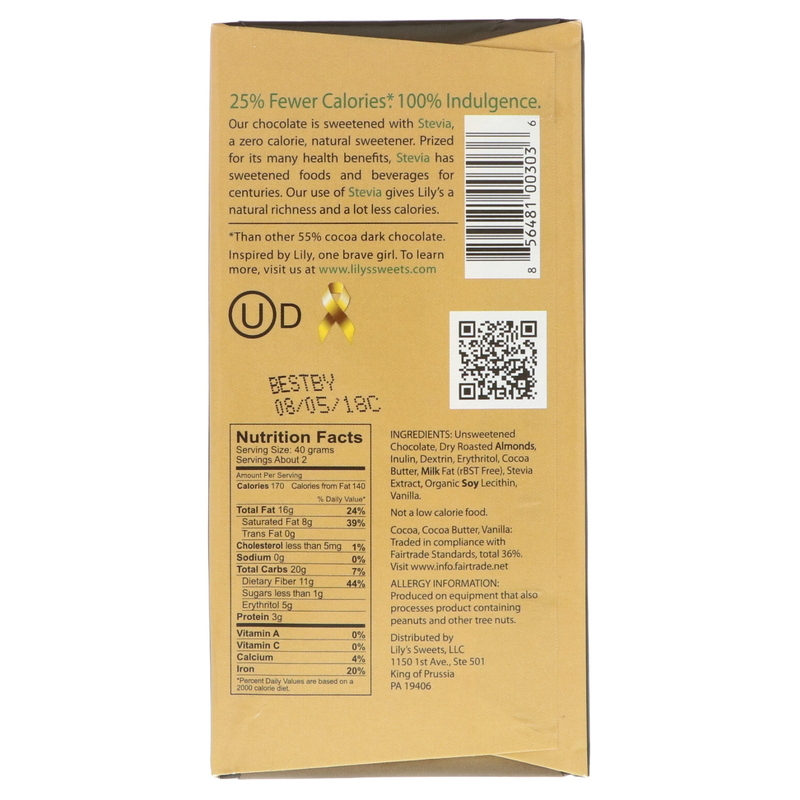 Unsweetened chocolate, dry roasted almonds, inulin, dextrin, erythritol, cocoa butter, milk fat (rbst free), stevia extract, organic soy lecithin, vanilla. Cocoa, cocoa butter, vanilla: traded in compliance with Fairtrade Standards, total 36%.